Once a Royal Forest, a place where the upper classes could hunt deer and the lower classes could collect firewood, Epping Forest on the London-Essex border has for hundreds of years been an arena of labour and leisure. 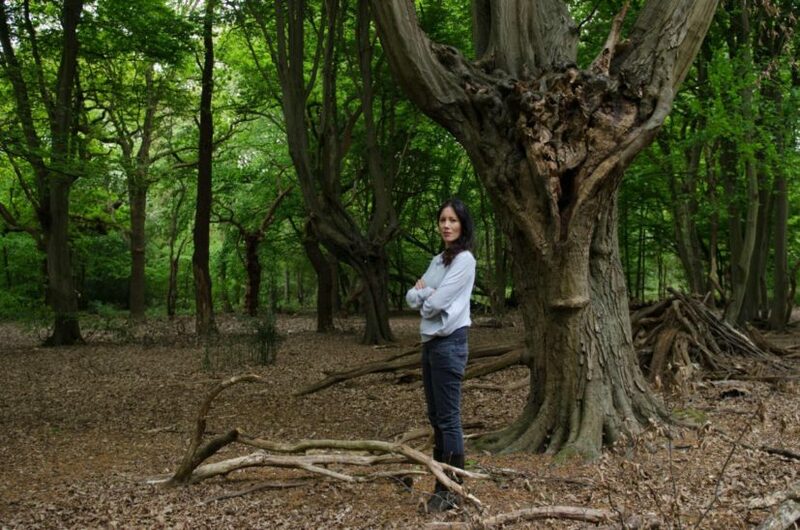 The British artist Gayle Chong Kwan has spent the past two years researching the stories that are nestled amongst the historical undergrowth of London’s biggest woodland, as it is increasingly engulfed by the growing city. 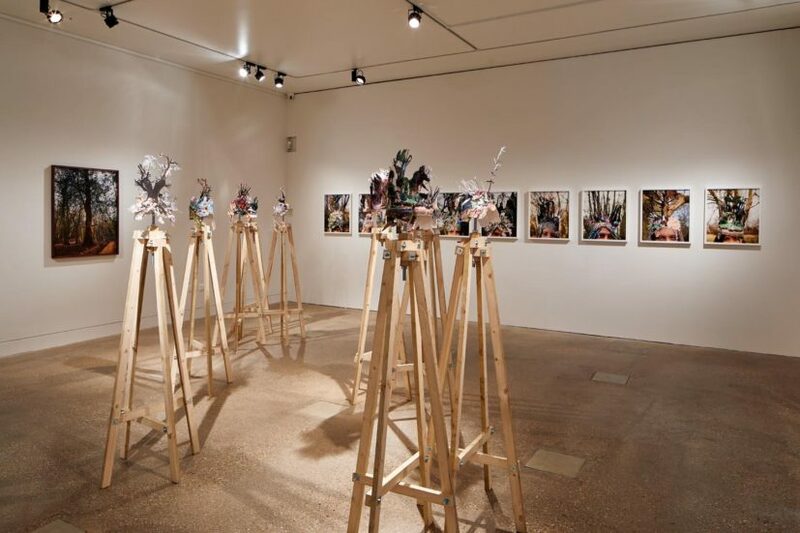 Chong Kwan’s current exhibition The People’s Forest at the William Morris Gallery involves photography and collage after investigating the multiple values of the woodland. Commissioned by the William Morris Gallery and the Barbican, she engaged with the forest as a contested site of historical and recent protest and conflict between capital and common. Echoing the exhibition, Chong Kwan created a totemic tree-like sculpture that stood in the Barbican’s foyer, named The Fairlop Oak after a tree that once stood at the site of a popular eighteenth century fair in the Hainault Forest (near to Epping Forest) that brought large numbers of people to the area. Her research uproots the many protests to save the woodland dating back to the mid-nineteenth century and reflects on the area as a place of liminality, the threshold between the fast-paced metropolitan and the sanctuary of the countryside. As the city and gentrification encroaches further out, the forest becomes even more torn as either a site for monetary potential or as a space for nostalgic escapism. Two walls of the exhibition room host three large photographs of distinctively shaped trees. Photographed in the honey-coloured sunlight, each tree flaunts a different set of unusual characteristics, interlocking with neighbouring trees and roots gnarling out of the earth. The trees are reminders of the human relationship with the forest as their branches have been pushed and chopped in different directions. Thomas Gainsborough’s Landscape with a Woodcutter and Milkmaid comes to mind when viewing the trees that have been awarded centre stage, their pollarded trunks offering a true, idyllic representation of the productivity of the rural landscape. Chong Kwan’s collaging process of putting the image of the forest under the staple knife mimics the relentless pruning and manipulation that the forest trees have undergone. Living and working in London, Gayle Chong Kwan’s work consists of photography, installation, sound, and video work addressing the environment and people’s relationship with it in fascinating ways. Chong Kwan often takes a participatory approach to her practice. With two degrees under her belt and currently doing a PhD in Fine Art at the Royal College of Art, her approach is often heavily influenced by a multitude of ways of thinking and results in vibrant and dynamic artworks. Last year her commission Microclimate at the Lincolnshire mansion Normanby Hall explored the politics of food and waste through the Victorian popularisation of the walled garden and the greenhouse. There she hosted a sensory blind-folded banquet for members of the public encouraging a primordial method of engaging the subject. For The People’s Forest she carried out public engagement workshops prior to the exhibition, leading to members of the public becoming part of the final work. 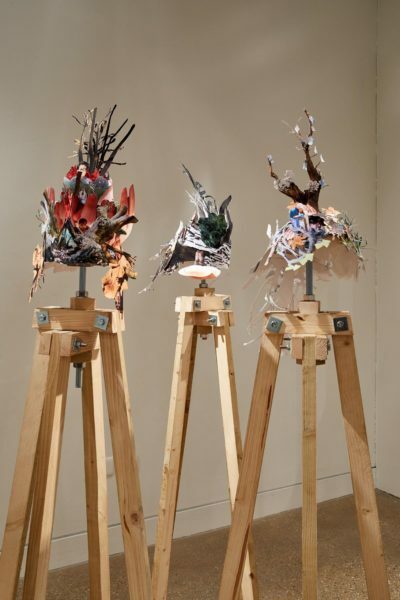 She also incorporated the sensory way of interacting with nature, particularly within the collaged photographic colourful headdresses adorned by different forest-goers she met throughout the project. 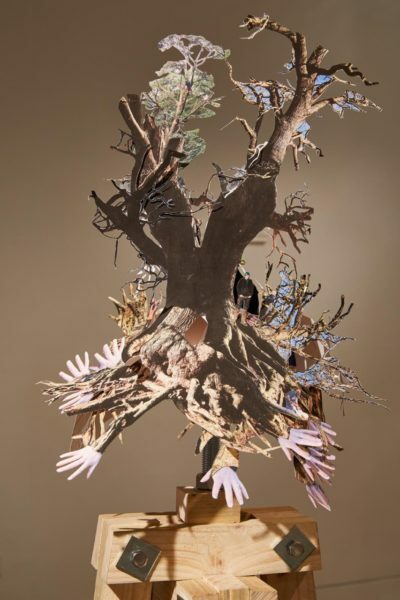 Each meticulously cut-out headdress depicts abstracted surreal scenes within the forest realms; one in particular shows fingers feeling out like a web of inquisitive tree roots. The far side of the exhibition epitomises the crux of Chong Kwan’s research, showing portraits of beaming faces wearing the elaborate headpieces, we see how the forest comes to life through the many people that experience it. Whilst it ties in nicely to the morals of the late William Morris, who had campaigned against the destruction of Epping Forest, Gayle Chong Kwan’s exhibition highlights the vulnerability of the green areas in and around London and how these spaces are sacred to our individual prosperity. As one of the greenest cities in the world, places like this are to be prized and appreciated by all. 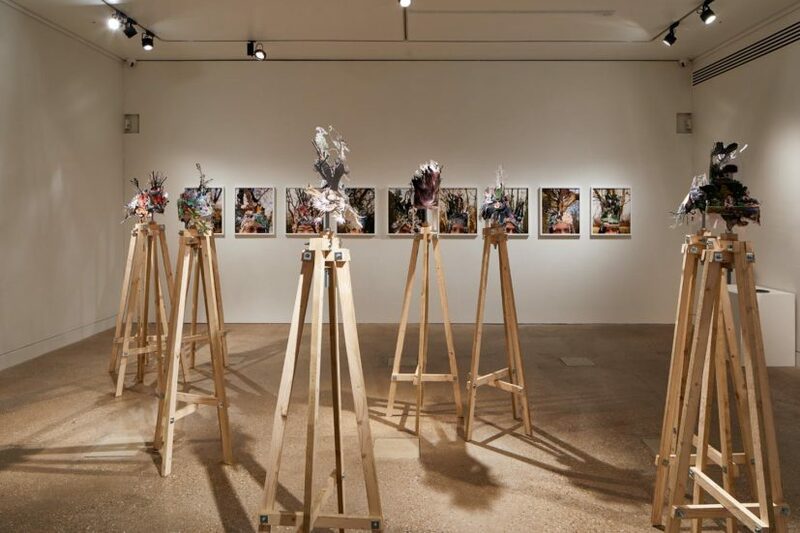 ‘The People’s Forest’ by Gayle Chong Kwan at the William Morris Gallery is on until 20 May 2018.